Olga Florenskaya was born in in 1960 and graduated from Leningrad's Mukhina Art Institute in 1982. 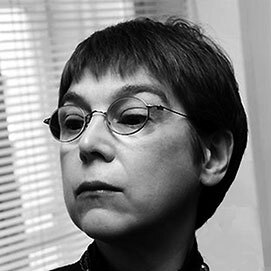 She is well known, particularly in St. Petersburg, as one of the founding members of the ""Mitki"" group (founded in 1985). In 1990 she was a visiting artist at the Institut des art plastique in Paris. She has worked in nearly every medium (both individually and in collaboration with her husband and other artists), including sculpture, installation, graphic arts, animated film, artists' books, photography, and concrete poetry. Her individual and collaborative works have been acquired by the Russian Museum (St. Petersburg), the Tretiakov Gallery (Moscow), and the Pushkin Museum (Moscow). She lives and works in St. Petersburg.